Assemble at Changi International Airport for our flight to Fuzhou, the capital of Fujian Province. Fuzhou West Lake Park is known to be the most intact and well preserved classical gardens. The Lin Zexu Memorial, which was founded in memory of the national hero, Lin Zexu. Three lanes seven alleys, one of the top 10 Historical and Cultural Street of China. 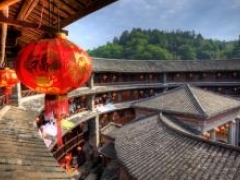 Quanzhou Kaiyuan Temple, the oldest and largest Buddhist monastery in Fujian. Huaan Tulou—Eryi Lou. These houses are constructed using mud and wood and are considered a wonder because they look so unique. 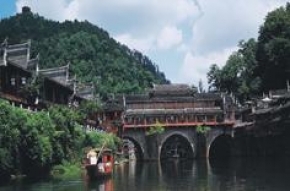 Pass through Zhangzhou, view Fruit Farm and taste seasonal fruit. The Palace Temple of Laoma Gong. Kaiyun Temple--it is the oldest temple in Chaozhou. Gulangyu Island is renowned for its delicate natural beauty, its ancient relics, and its varied architecture. Stop by the Kin Eliya Health Centre. Guests will have their own dinner arrangements. Take a ferry to Kinmen. The military tunnel used to be a key military base for Kinmen when Taiwan and the mainland were still at war. Kimen famous western-style house: The Grand De Yue Lou; The Jin Shui Primary School. Kinmen National Park: Rushan Park, Jinguo Memorial. Juguang Tower, the symbol of Kinmen and a popular tourist spot. Local specialty: Wuji the root shop; Kinmen Gong Tang Meesua shop (or “Coral shop”). Transfer to airport for our flight back to Singapore. Coach arrangement: 6-7 persons: 11-seater coach; 8-12 persons: 17-22-seater coach; 13-24 persons: 33-seater coach; (33 persons and above, coach with luggage compartment). Additional surcharge for China passport holders. In the event that the customers choose to opt out from the tours, additional charge apply.